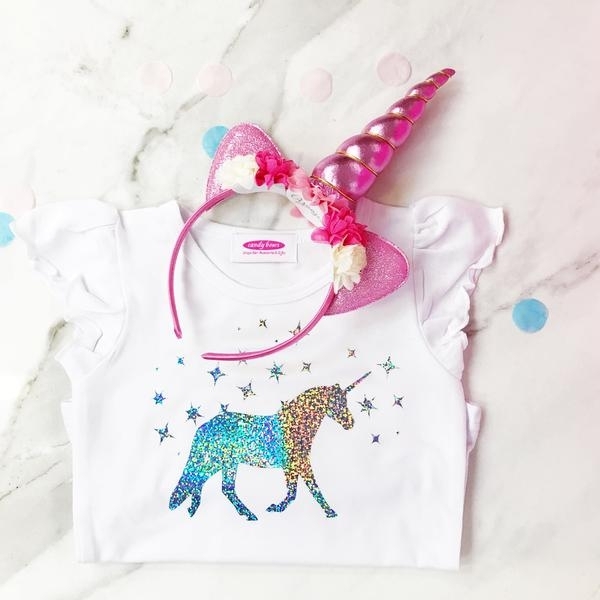 A super soft cotton short sleeve t shirt, designed by Candy Bows, is embellished with a sparkly holographic unicorn with stars that shimmers in the light. Perfect for little girls to wear with pettiskirts, tutus or jeans and leggings. The t-shirt has elastine blended in with the cotton to give is some stretch and also gives it a super soft feel. Cool wash at 30 degrees and iron on reverse.